PMR collaborated with a global research agency on a project for a global manufacturer of cleaning equipment. PMR carried out a nationwide B2B survey in Poland on the use of these machines by production companies in the metal industry sector. The survey was conducted among managers of companies dealing with steel and aluminium processing employing between 50 and 250 employees. Our respondents were decision-makers in the purchase of cleaning equipment who were knowledgeable about the production process in their companies and had expertise in the field of cleaning technology and equipment used in production halls. The project included 18 ethnographic interviews (9 with representatives of steel companies and 9 with representatives of aluminium companies). All interviews were carried out at the respondents’ companies. In addition, we compiled extensive photographic documentation of the cleaning equipment, their storage places and typical cleaning technologies used in each company. This way, we were able to obtain detailed information on the practical use of cleaning equipment and existing standards of companies in the metal sector. A portion of the interviews was translated simultaneously into English, allowing the client to observe them in real time. typical cleaning equipment purchasing processes. The study’s main objective was exploring the needs of users of cleaning equipment, with particular emphasis placed on cleaning production areas. The information gathered in the course of the study enabled our client to perfect their cleaning machines, expand their portfolio and modify their offer to their clients’ exact needs. This enabled sales optimization and implementation of a more effective communication strategy, tailored to the expectations of current and potential customers. The study’s results constitute a useful analysis which serves the effective development of our client’s business plans. 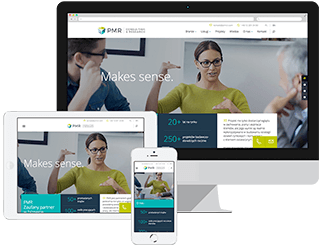 In addition, PMR’s analysts provided the client with guidance in interpreting the study’s findings.